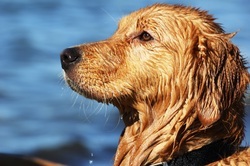 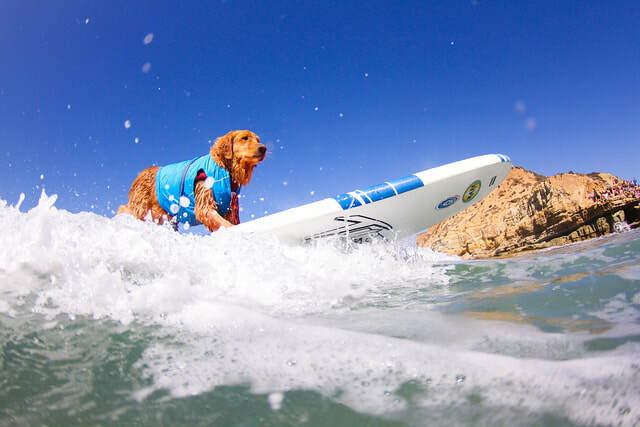 Favorite Sports/Activities/Pastime: Surfing, Swimming, running, digging, barking, catching bugs, chasing rabbits, hiking, fishing, kissing and stealing toys. 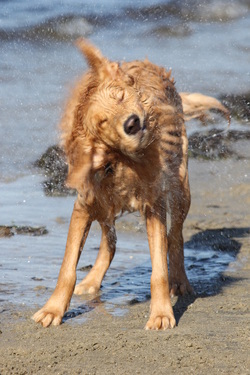 Favorite Food: Duck! 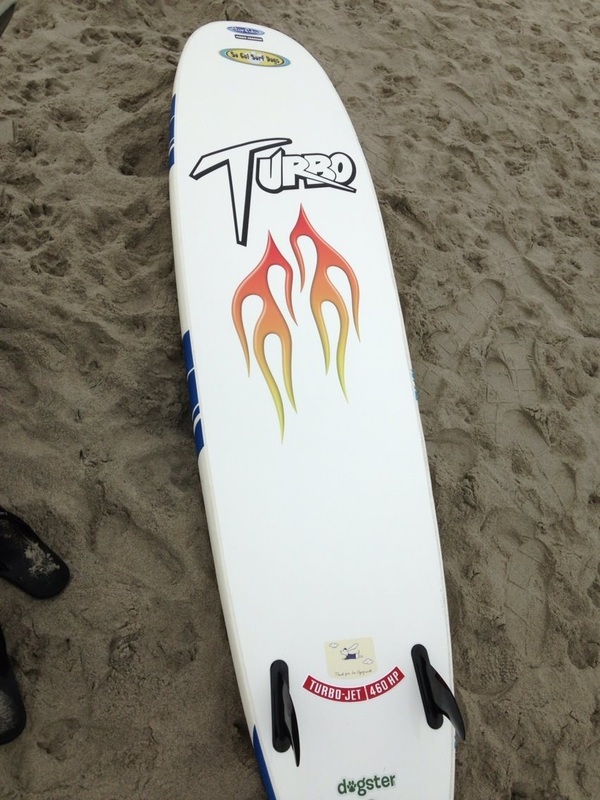 Duck in a can! 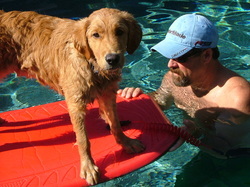 My first human couldn't take care of me (I'm a handful!) 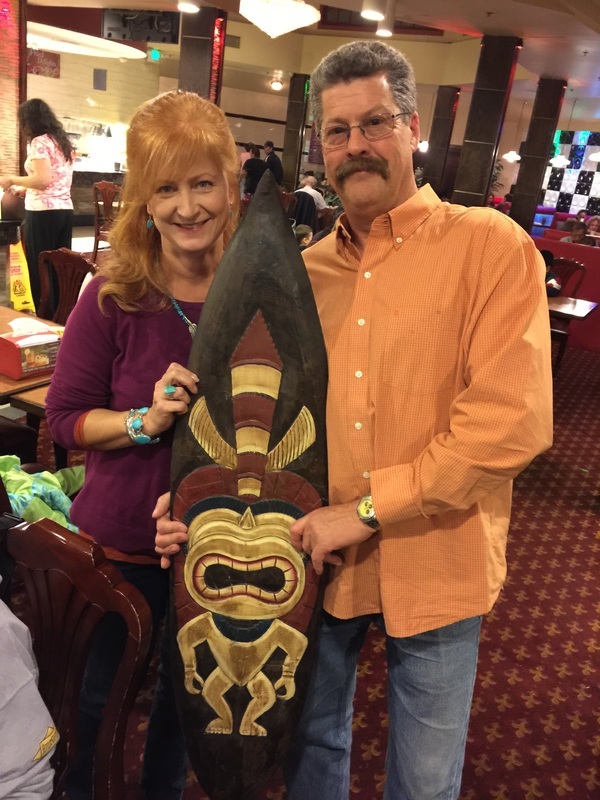 so my parents adopted me when I was 5 months old. 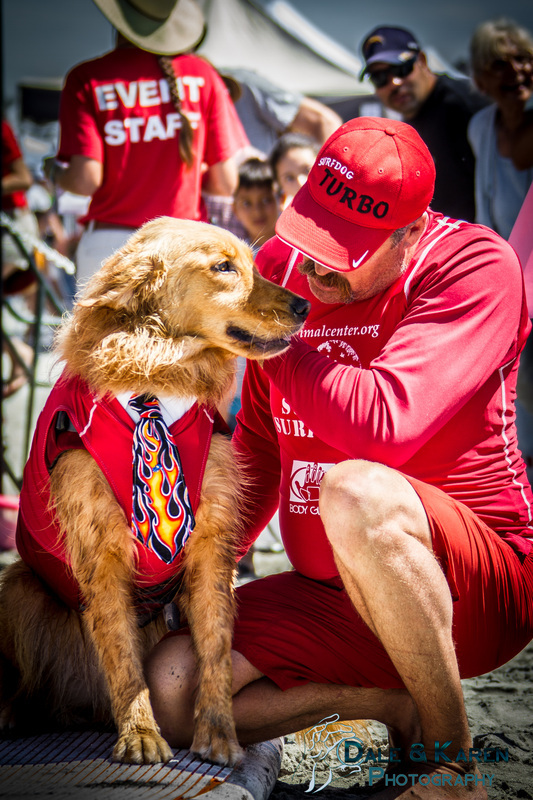 At first, I didn't like to be touched and I was scared of everything! 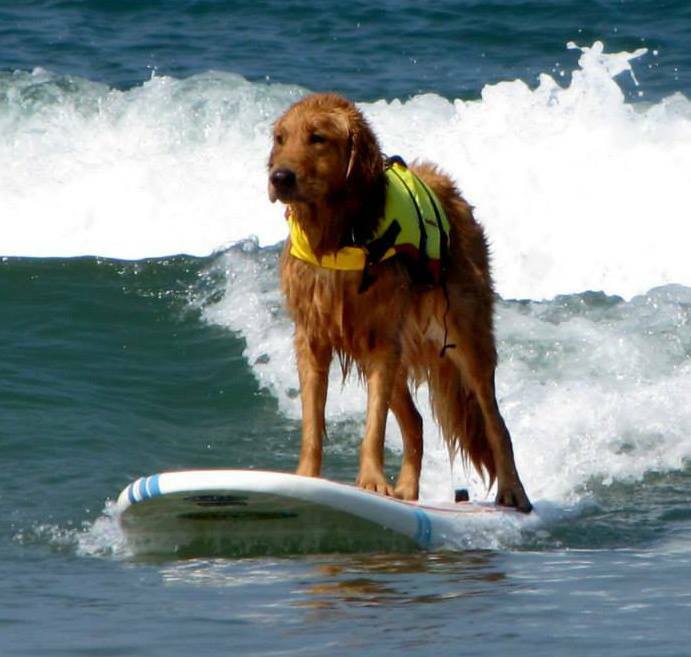 But they told me I could learn to surf if I wanted to, so I gave it (and them) a try, and I'm sure glad I did. Love, affection and sand between my toes are three of my favorite things now. 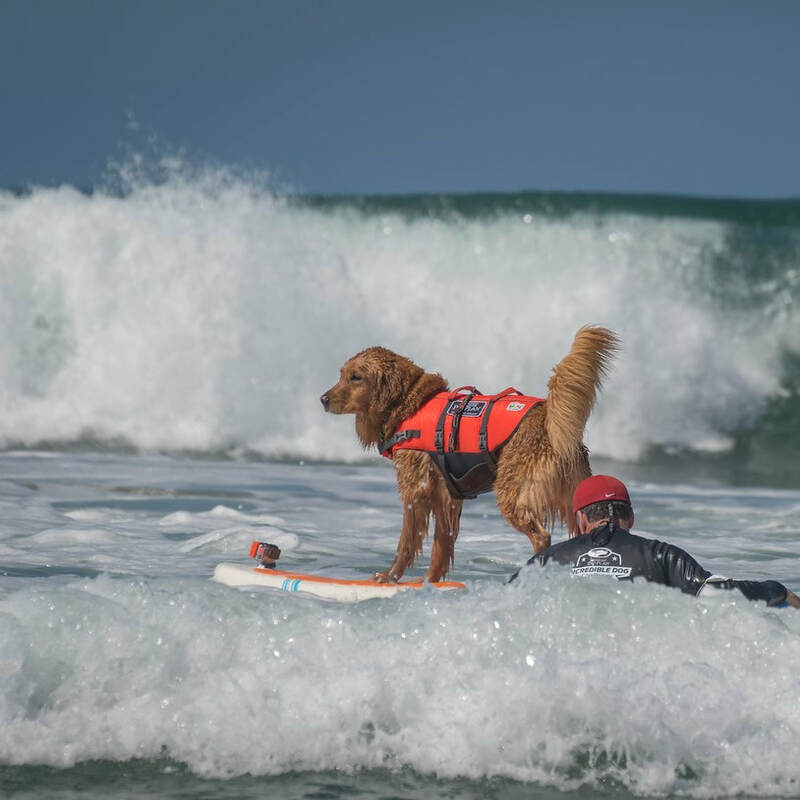 My big brother Mackey is helping me learn how to be a good citizen, and I'm teaching him some fun little tricks of my own. 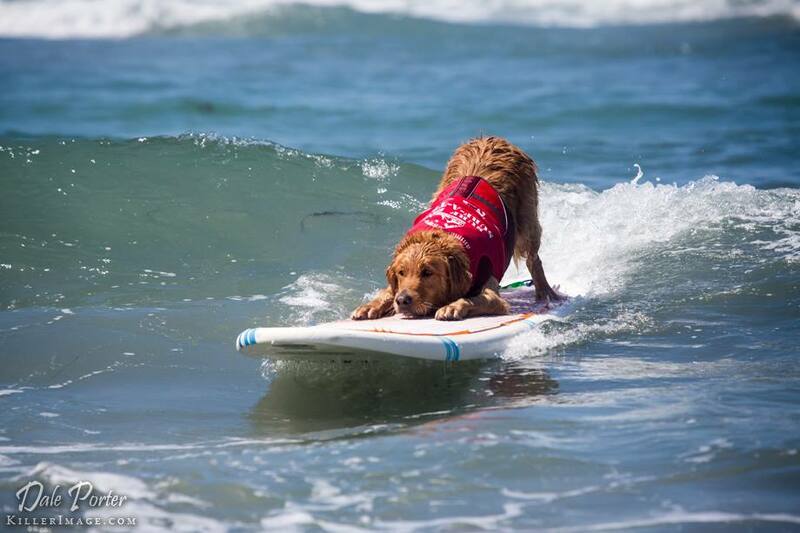 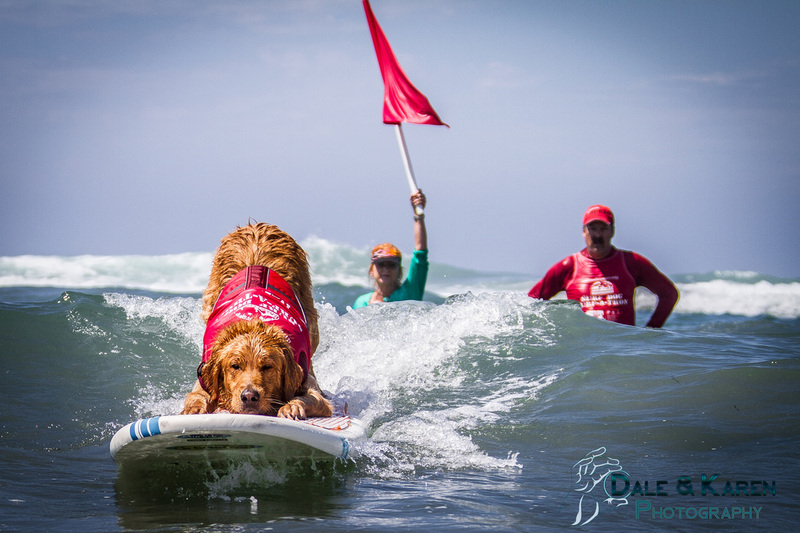 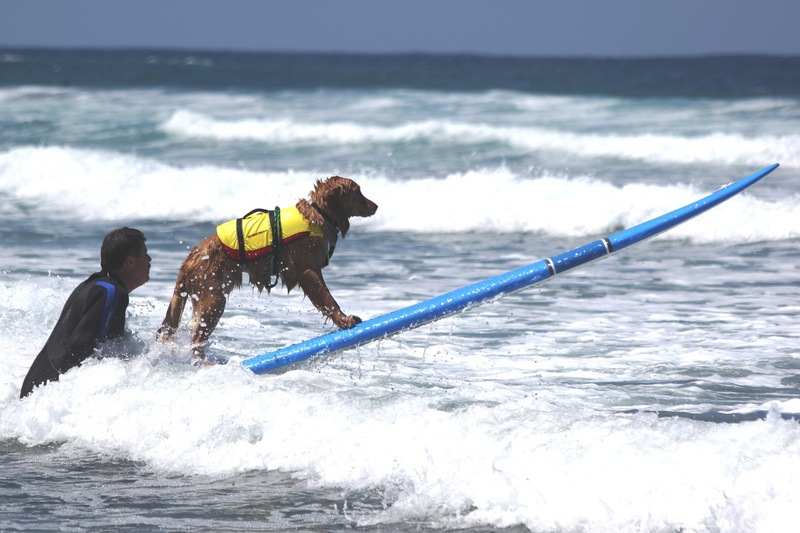 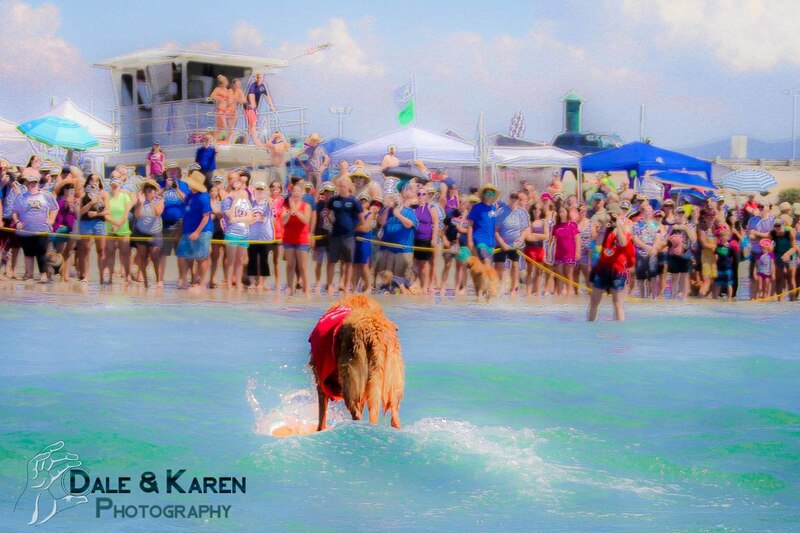 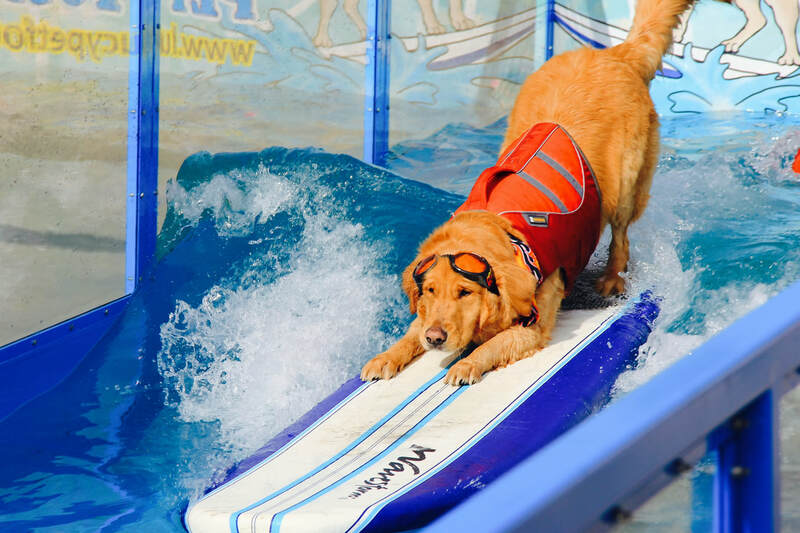 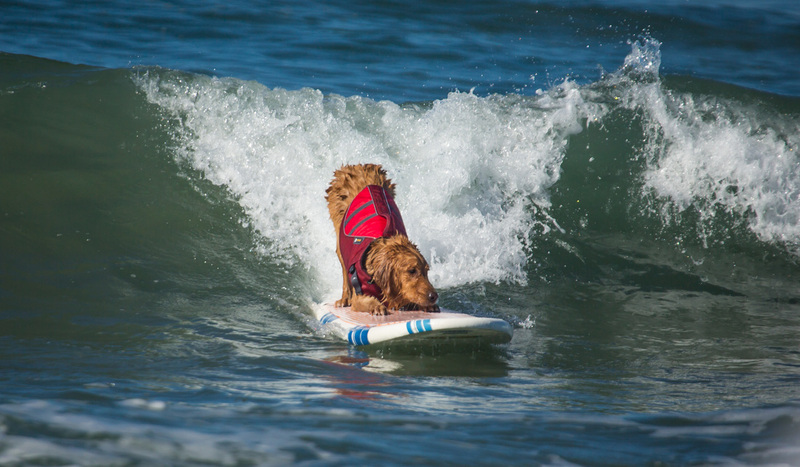 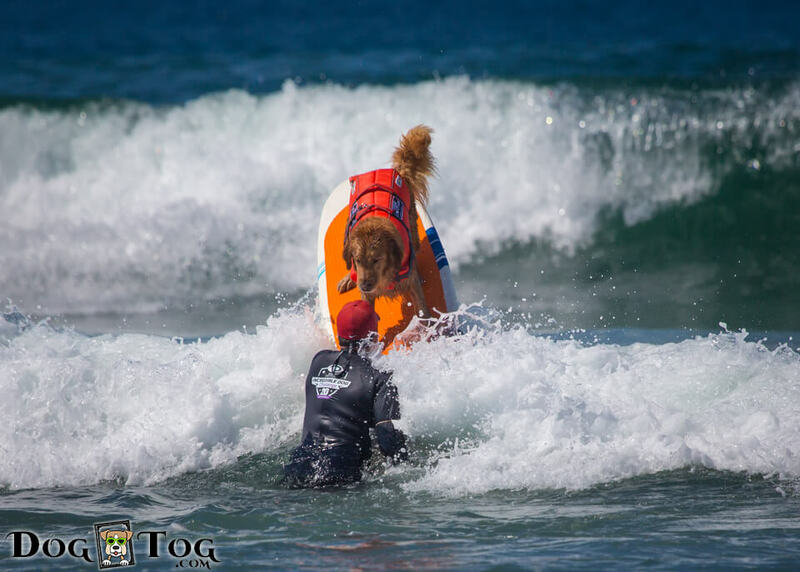 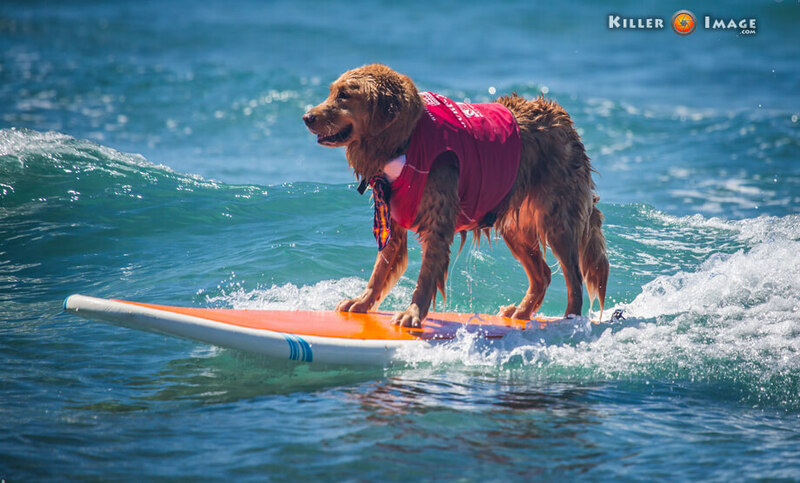 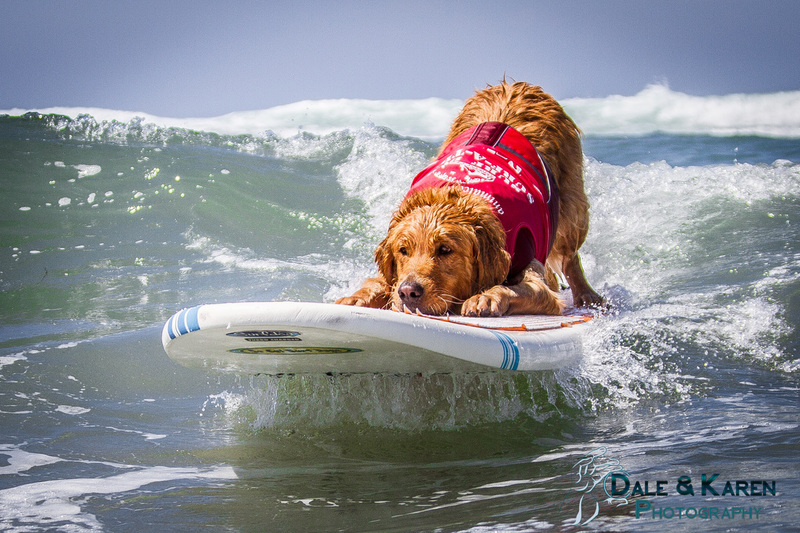 First Surf Dog to compete! 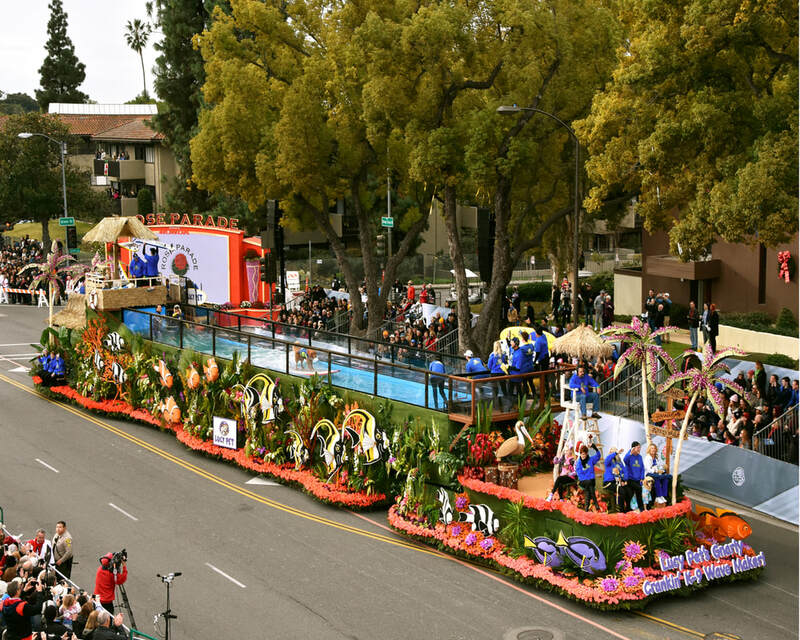 2017 January 2, 2017 Lucy Pet's Gnarly Crankin' K9 Wavemaker Rose Parade Float - Selected Participant. 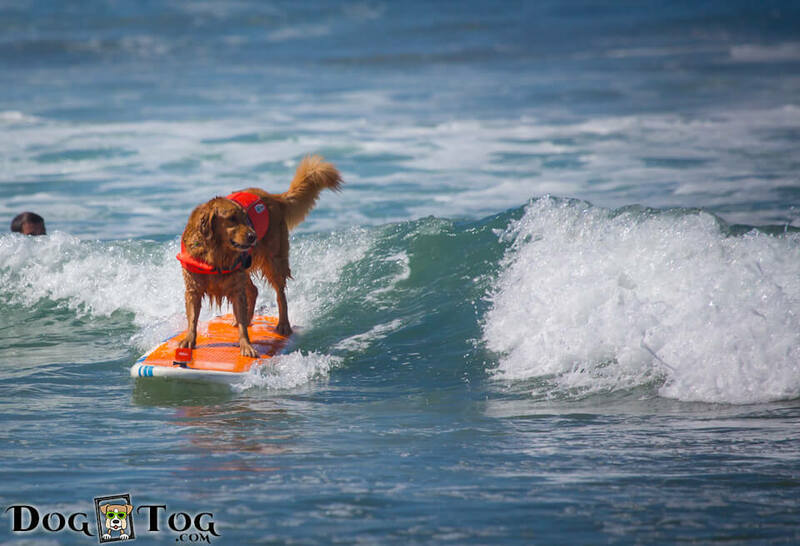 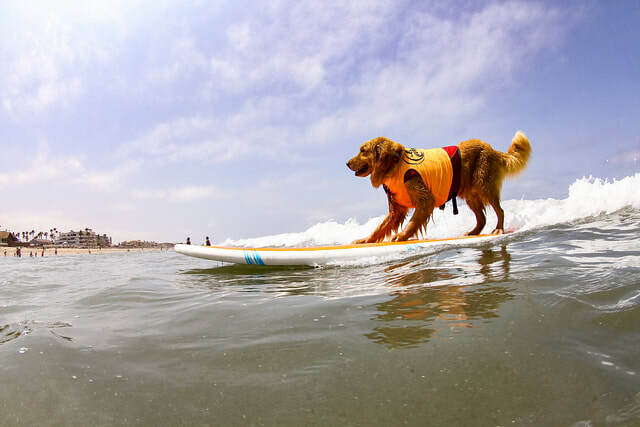 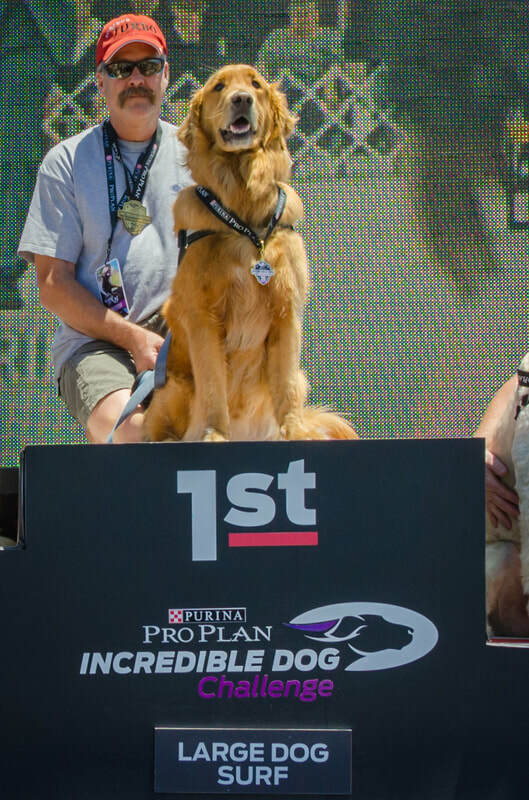 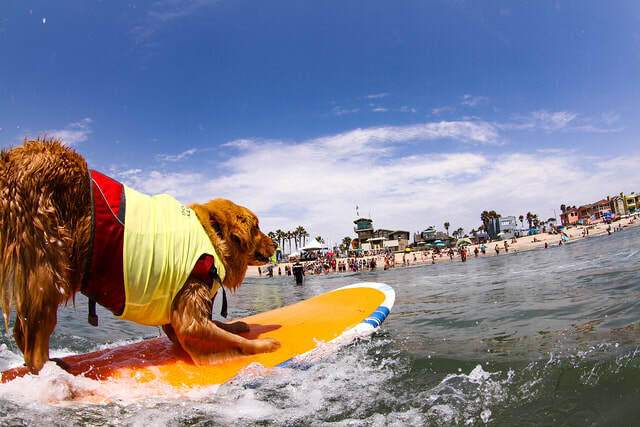 2015 recipients of the SoCal Surf Dog Tiki Award.